April 3, 2019 — Toronto Real Estate Board President Garry Bhaura announced that Greater Toronto Area REALTORS® reported 7,187 residential sales through TREB’s MLS® System in March 2019. This result was inline with 7,188 sales reported in March 2018. For the first quarter of 2019, sales were down by one per cent compared to Q1 2018. “The OSFI stress test continues to impact home buyers’ ability to qualify for a mortgage. TREB is still arguing that the stress test provisions and mortgage lending guidelines generally, including allowable amortization periods for insured mortgages, should be reviewed. The supply of listings in the GTA also remains a problem. Bringing a greater diversity of ownership and rental housing online, including ‘missing middle’ home types, should be a priority of all levels of government. TREB is happy to be taking part in the City of Toronto’s consultations for the Housing TO – 2020-2030 Action Plan, and will certainly be raising the supply issue during these discussions,” said Mr. Bhaura. “While the City of Toronto’s recently announced Housing TO – 2020-2030 Action Plan is exciting and commendable and TREB looks forward to contributing solutions as a Member of the External Advisory Committee, the recently proposed increase to the Municipal Land Transfer Tax on higher priced properties is problematic. As the recent City budget process showed, the MLTT is not a sustainable revenue source from which to fund municipal programs. On top of this, additional MLTT on higher priced homes could have a trickle-down effect on the supply of homes throughout the housing price continuum,” said TREB CEO John Di Michele. The MLS® Home Price Index Composite Benchmark was up by 2.6 per cent year-over-year in March, while the average price for March sales was up by a lesser annual rate of 0.5 per cent to $788,335. The average selling price for Q1 2019 was up by 1.1 per cent year-over-year. “Market conditions have remained tight enough to support a moderate pace of price growth. Despite sales being markedly lower than the record levels of 2016 and early 2017, the supply of listings has also receded. This means that in many neighbourhoods throughout the GTA, we continue to see competition between buyers for available listings, which provides a level of support for home prices,” said Jason Mercer, TREB’s Chief Market Analyst. February 6, 2019 — TREB President Garry Bhaura announced that Greater Toronto Area REALTORS® reported 4,009 home sales through TREB’s MLS® in January 2019 – up by 0.6 per cent compared to January 2018. On a preliminary seasonally adjusted basis, sales were up by 3.4 per cent compared to December 2018. “It is encouraging to see the slight increase in January transactions on a year-overyear basis, even with the inclement weather experienced in the GTA region during the last week of the month. The fact that the number of transactions edged upwards is in line with TREB’s forecast for higher sales in calendar year 2019,” said Mr. Bhaura. January 4, 2019 — Toronto Real Estate Board President Garry Bhaura announced that Greater Toronto Area REALTORS® reported a total of 77,426 residential transactions through TREB’s MLS® System in 2018. This result represented a 16.1 per cent decline compared to 92,263 sales reported in 2017. Total new listings entered into TREB’s MLS® System were down by 12.7 per cent over the same period to 155,823. The overall average selling price for 2018 transactions, at $787,300, was down by 4.3 per cent year-over-year for all home types combined across the TREB market area. Home prices were up very slightly in the City of Toronto and down in the surrounding GTA regions. This dichotomy reflects the fact that the condominium apartment segment, which accounted for a large proportion of sales in the City of Toronto, performed better from a pricing perspective than the detached market segment. The average price for condominium apartment sales across the TREB market area was up by 7.8 per cent year-over-year. half of the year, both from a sales and pricing standpoint,” said Garry Bhaura. “After spiking in 2017, new listings receded markedly in 2018. In many neighbourhoods, despite fewer sales from a historic perspective, some buyers still struggled to find a home meeting their needs. The result was a resumption of a moderate year-over-year pace of home price growth in the second half of the year. Price growth was strongest for lessexpensive home types, as many home buyers sought more affordable home ownership options,” said Jason Mercer, TREB’s Director of Market Analysis and Service Channels. There’s this myth out there that the real estate market slows or even stops in December. It may seem counterintuitive, but the holidays are actually an excellent time to sell your home! Serious Buyers: People who are looking to buy a home during the holidays are serious about finding their new residence! There may be fewer of these folks out there in general, but the ones who are looking are ready and wanting to buy, and they’re not messing around. Low Supply: Typically, there are fewer homes for buyers to look at around the holiday season, which means there’s less competition for the attention of those buyers! When the holiday season ends and the new year begins, the supply of homes goes up. More inventory can mean more competition, longer days on market and potentially less money for your home. Sell High, Buy Low: If want to buy a home in the 2018 spring market, selling now (and potentially renting short term) gives you the chance to be a non-contingent buyer when you’re ready to purchase in the spring. This is ideal. Since the spring time will bring more buyers into the marketplace for you to compete with, now you are set up as a “great buyer” who can compete with anyone, without a house sale contingency! Holiday Decor: The holidays tend to bring out the best in a home, when it’s all decorated and dressed to the nines! Your home will show beautifully, decked out in wreaths, red bows, and white lights! I particularly love the winter scents of pine, cinnamon and the toasty wood burning fireplace. Plus, the holidays can provide that emotional connection to a home that will help a buyer feel more attached and pay your asking price. Scheduling Control: Don’t worry—if you’re selling, you can still enjoy the holidays as usual! You can limit home showings to when you’re comfortable. You stay in control! 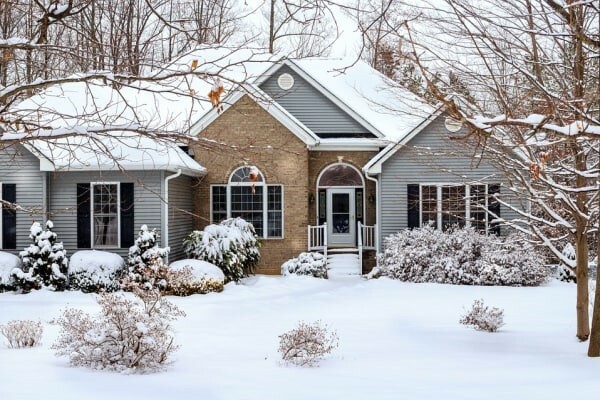 Move in the Spring: You can sell during this prime holiday time, but still not have to worry about moving until January through March, well after the holiday season is over. You can negotiate a longer closing period or an extended use and occupancy. Capture the Relocating Buyer: January is often a time when employees begin new jobs. Oftentimes, when someone is transferred to a new position, they need a home, and they need it ASAP! This means they can’t necessarily wait until spring to buy, and that means you need to be on the market during the final months of the year to capture this unique buyer opportunity. TORONTO, December 5, 2018 — Toronto Real Estate Board President Garry Bhaura announced the continuation of moderate price growth in November 2018 compared to November 2017. The MLS® Home Price Index (HPI) Composite Benchmark was up by 2.7 per cent year-over-year. The average selling price was up by 3.5 per cent year-over-year to $788,345. Greater Toronto Area REALTORS® reported 6,251 residential transactions through TREB’s MLS® System in November 2018. This result was down by 14.7 per cent compared to November 2017, when we saw a temporary upward shift in demand as the market was distorted by the looming OSFI-mandated stress test at the end of last year. “New listings were actually down more than sales on a year-over-year basis in November. This suggests that, in many neighbourhoods, competition between buyers may have increased. Relatively tight market conditions over the past few months have provided the foundation for renewed price growth,” said Mr. Bhaura. On a preliminary seasonally adjusted basis, sales were down by 3.4 per cent compared to October 2018. The average selling price after preliminary seasonal adjustment was down by 0.8 per cent compared to October 2018. “Home types with lower average price points have been associated with stronger rates of price growth over the past few months. Given the impact of the OSFI-mandated mortgage stress test and higher borrowing costs on affordability, it makes sense that the condo apartment and semi-detached market segments experienced relatively stronger rates of price growth in November, as market conditions in these segments remained tight or tightened respectively over the past year,” said Jason Mercer, TREB’s Director of Market Analysis. Looking at the housing market from a policy perspective, TREB is encouraged with the provincial government’s recent announcement and on-going public consultation regarding a housing supply action plan. “Housing supply remains a key issue in the GTA market. More specifically, an adequate supply and appropriate mix of housing types must be part of the conversation, as has been recognized by the provincial government in their consultation documents. Transit supportive and gentle density ‘missing middle’ housing should be a priority. TREB has commissioned research on these subjects and looks forward to sharing it at our Market Outlook Economic Summit on February 6, 2019, and as part of the provincial government’s consultations, when results are available in coming months,” said TREB CEO John Di Michele. “TREB is also encouraged that the provincial government remains committed to public transit expansion. TREB has long advocated for improvements to the Greater Golden Horseshoe transit and transportation network, and feels the time is right to have a conversation about the level of provincial and municipal responsibility that would be the most efficient arrangement to realize subway expansion sooner in Toronto, and the GTA, as this will impact the housing market,” added Mr. Di Michele. October 3, 2018 — Toronto Real Estate Board President Garry Bhaura announced that Greater Toronto Area REALTORS® reported 6,455 sales through TREB’s MLS® System in September 2018 – up 1.9 per cent compared to September 2017. The average selling price for September 2018 sales was up by 2.9 per cent over the same period to $796,786. The MLS® HPI composite benchmark price was up by two per cent year-over-year. “While higher borrowing costs and tougher mortgage qualification rules have kept sales levels off the record pace set in 2016, many households remain positive about home ownership as a quality long-term investment. As the GTA population continues to grow, the real challenge in the housing market will be supply rather than demand. The Toronto Real Estate Board is especially concerned with issues affecting housing supply as we move towards municipal elections across the region,” added Mr. Bhaura. “Generally speaking, annual rates of price growth have been stronger for higher density home types in 2018, including condominium apartments, townhouses and semi-detached houses. In many neighbourhoods, these home types provide more affordable home ownership options. This is why a policy focus on increasing mid-density housing options throughout the GTA is important,” said Jason Mercer, TREB’s Director of Market Analysis. Moving up to your “forever home” is exciting. When you bought your first place, chances are you were young, strapped for cash and prepared – if not warned – to make some concessions. The move-up buyer typically has some savings and home equity to work with, making this next move feel less like a compromise and more a thoughtful selection. But move-up buyers face their own set of challenges that call for a carefully considered strategy. Here are three options for the smart move-up buyer with a plan! 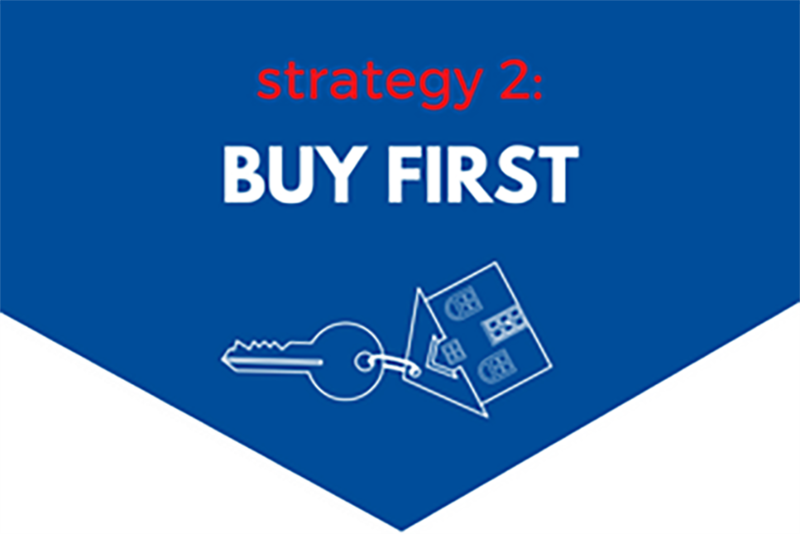 The “Sell First” strategy is ideal for the move-up buyer who can’t afford to pay two mortgages simultaneously. Selling your property first eliminates the risk of having to carry two mortgages if you don’t sell your existing home in time. It also reduces the chances of having to reduce your asking price in the interest of speeding up the sale. This is a good option for move-up buyers who are banking on the proceeds of their sale to fund their new (and likely more expensive) property. By selling first, you’ll know exactly how much money you have to purchase your next home. 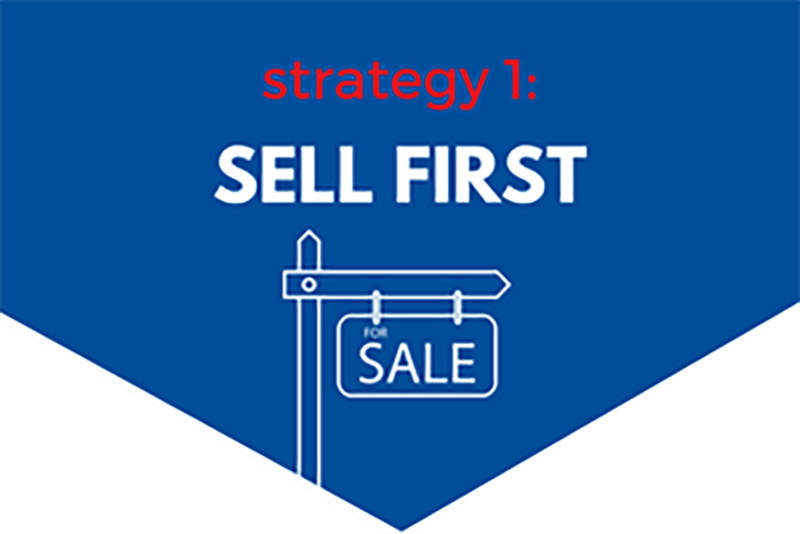 If homes in your area of choice are selling faster than the ‘For Sale’ signs can hit the front lawn, the “buy first” strategy might be the way to go. By buying your new home before selling your old one, you won’t feel rushed into settling for a sub-par property, or having to seek alternative temporary housing options while you shop the market. This move-up buyer still lives in his or her existing home, allowing them time to shop around, and continue looking until they find that perfect place. This move-up buyer typically requires a bridge mortgage. When all is said and done, this move-up buyer approach is the most ideal, but getting there is another story. Aligning your purchase and sale closing dates can be tricky. Remember that there are three dancers in this tango – you, the person you’re buying from, and the person you’re selling to. You’ll also have to move out and move in on the same day. In this scenario, time is your best friend and flexibility your savior. This means you’ve planned ahead – you’re researched neighbourhoods, gotten pre-approved for a mortgage, and you’ve started the organizing and de-cluttering process before the big move. The right move-up buyer strategy depends on a number of factors, such as your financial situation, current housing market conditions, your personal comfort level and your personality. Consider all these when making your decision. 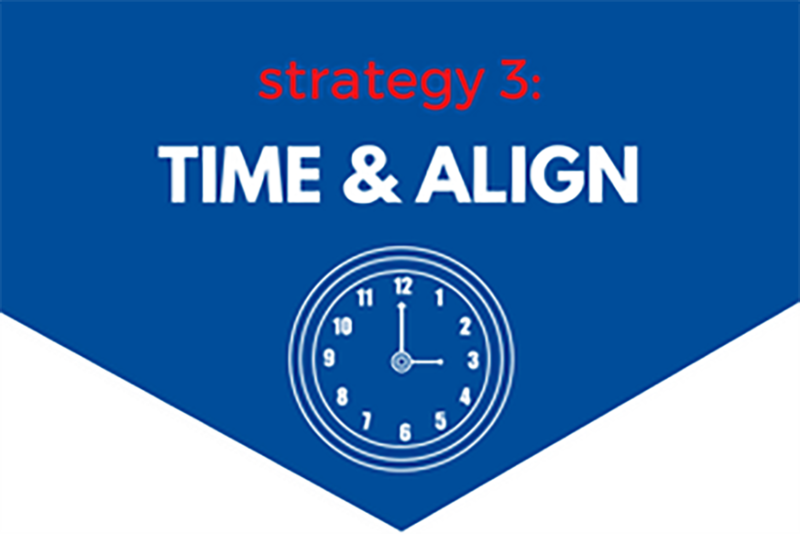 Plan ahead and work with a pro to ensure a smooth transaction on both sides of the bargaining table. September 6, 2018 — Toronto Real Estate Board President Garry Bhaura announced sales and price increases on a year-over-year basis in August. Greater Toronto Area REALTORS® reported 6,839 sales through TREB’s MLS® System in August 2018 – an 8.5 per cent increase compared to August 2017. Both the average selling price, at $765,270, and the MLS® Home Price Index Composite Benchmark for August 2018 were up compared to the same month in 2017, by 4.7 per cent and 1.5 per cent respectively. The average selling price increased by more than the MLS® HPI Composite due, at least in part, to a change in the mix of sales compared to last year. Detached home sales were up by double digits on a year-over-year percentage basis – substantially more than many other less-expensive home types. “It is encouraging to see a continued resurgence in the demand for ownership housing. Many home buyers who had initially moved to the sidelines due to the Ontario Fair Housing Plan and new mortgage lending guidelines have renewed their search for a home and are getting deals done much more so than last year. In a region where the economy remains strong and the population continues to grow, ownership housing remains a solid long-term investment,” said Mr. Bhaura. Month-over-month sales and price growth also continued in August. On a preliminary seasonally adjusted basis, August 2018 sales were up by two per cent compared to July 2018. The seasonally adjusted August 2018 average selling price was down slightly by 0.2 per cent compared to July 2018, following strong monthly increases in May, June and July. “Market conditions in the summer of 2018, including this past August, were tighter than what was experienced in the summer of 2017. In August, the annual rate of sales growth outpaced the annual rate of new listings growth. We only have slightly more than two-and-a-half months of inventory in the TREB market area as a whole and less than two months of inventory in the City of Toronto. This means that despite the fact the sales remain off the record highs from 2016 and 2017, many GTA neighbourhoods continue to suffer from a lack of inventory. This could present a problem if demand continues to accelerate over the next year, which is expected,” said Jason Mercer, TREB’s Director of Market Analysis. July 5, 2018 — Toronto Real Estate Board President Garry Bhaura, in his first market release as TREB President, is pleased to announce some positive signs with respect to the housing market. home buyers reacted to various policy changes impacting the market. with sales accounting for a greater share of listings, as new listings have dropped compared to last year,” said Mr. Bhaura. The average selling price edged up by two per cent on a year-over-year basis to $807,871 in June 2018. After preliminary seasonal adjustment, the average selling price was also up by 3.3 per cent month-over-month between May 2018 and June 2018. The MLS® Home Price Index (HPI) was down by 4.8 per cent on a year-over-year basis but remained basically flat month-over-month. The difference in the year-over-year rates of change between the average price and the MLS® HPI was likely due, at least in part, to a change in the mix of properties sold in June 2018 compared to June 2017, with low-rise home types accounting for a greater share of sales in June 2018.
should be top-of-mind for policy makers,” said Jason Mercer, TREB’s Director of Market Analysis and Service Channels. SCROLL DOWN TO VIEW: MILTON, OAKVILLE, BURLINGTON, HALTON HILLS (Georgetown) and MISSISSAUGA (If there is another area not listed here that you are interested in, please let us know and we will email you the details). June 4, 2018 — Greater Toronto Area REALTORS® reported 7,834 sales through TREB’s MLS® System in May 2018. This result was down by 22.2 per cent compared to May 2017. While the number of sales was down year-over-year, the annual rate of decline was less than reported in February, March and April, when sales were down by more than 30 per cent. On a month-over-month basis, seasonally adjusted May sales were basically flat compared to April. Supply of homes available for sale continued to be an issue. New listings were down by 26.2 per cent. The fact that new listings were down by more than sales in comparison to last year means that competition increased between buyers. Recent polling conducted by Ipsos for TREB suggests that listing intentions are down markedly since the fall. “Home ownership remains a sound long-term investment. Unfortunately, many home buyers are still finding it difficult find a home that meets their needs. In a recent Canadian Centre for Economic Analysis study undertaken for the Toronto Real Estate Board, it was found that many people are over-housed in Ontario, with over five million extra bedrooms. These people don’t list their homes for sale, because they feel there are no alternative housing types for them to move into. Policy makers need to focus more on the ‘missing middle’ – home types that bridge the gap between detached houses and condominium apartments,” said Mr. Syrianos. The MLS® Home Price Index (HPI) Composite Benchmark was down by 5.4 per cent year-overyear. The average selling price for all home types combined was down by 6.6 per cent to $805,320. On a seasonally adjusted basis, the average selling price was up by 1.1 per cent compared to April 2018. “Market conditions are becoming tighter in the Greater Toronto Area and this will provide support for home prices as we move through the second half of 2018 and into 2019. There are emerging indicators pointing toward increased competition between buyers, which generally leads to stronger price growth. In the City of Toronto, for example, average selling prices were at or above average listing prices for all major home types in May,” said Jason Mercer, TREB’s Director of Market Analysis.